The prince is looking for a true princess to be his wife, but all the girls he meets are too rude, too vain or too greedy. One stormy night a young lady knocks on the palace door claiming to be a princess, so the queen decides to put her to the test. 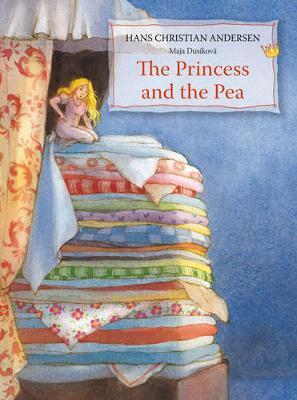 Will she feel the pea underneath the huge pile of mattresses? This classic fairy tale is wonderfully brought to life with soft, colourful illustrations by popular illustrator Maja Dusikova. Hans Christian Andersen (1805-1875) was a Danish author and writer of children's fairy tales, such as The Little Mermaid, Thumbelina and The Ugly Duckling, which have become much-loved classics around the world. Maja Dusikova was born in Slovakia in 1946. She has illustrated over forty books for children. She lives with her family in Florence, Italy.